^ Valenzuela, Julio Samuel; Valenzuela, Arturo (1986). 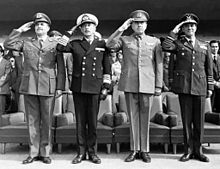 Military Rule in Chile: Dictatorship and Oppositions. Johns Hopkins University Press. p. 316. ^ Peter Kornbluh, CIA Acknowledges Ties to Pinochet’s Repression Report to Congress Reveals U.S. Accountability in Chile, Chile Documentation Project, National Security Archive, September 19, 2000. Retrieved November 26, 2006. 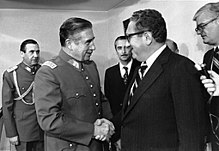 Article: "Doubts Remain over Pinochet's Fate: Chile's 'antiquated penal code' could be his undoing"
BBC News report: "Banks accused over Pinochet cash"
Spanish-language Flash presentation depicting the September 1986 assassination attempt.